In exclusive Willowbrook, this modern contemporary home sits on 1.5+ acres on a private cul de sac, landscaped for privacy. 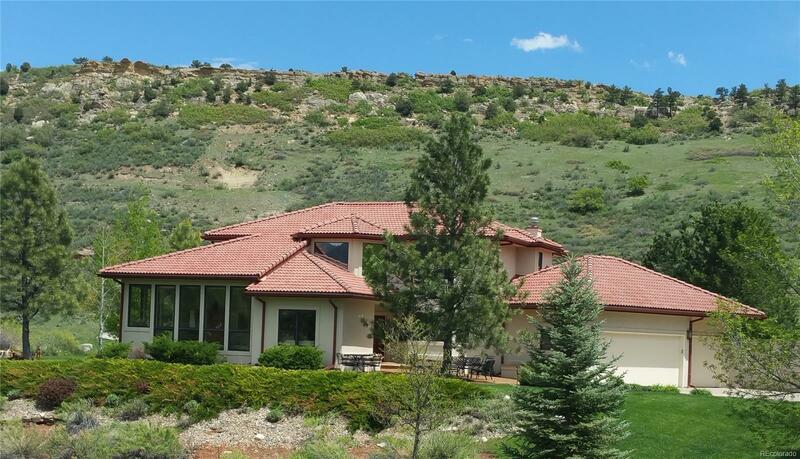 A well-maintained home with tile roof and updated stucco exterior has California-like brightness from 45 new large windows offering 360Â° mountain views. Updates include new cast iron boiler, hot water tank, egress windows, gutters, and encapsulated crawlspace. Allergy-prone owners will like 5-zone radiant in-floor heating. Gas cooktop island is step away from sink, dbl-oven and large pantry. Finish huge basement for bedroom, office or family room; plumbed for a 5th bath. Automatic dog watering system and Invisible Fence. You can live entirely on main flr-2nd flr devoted to kids/guests. Open flr plan-excellent traffic flow for entertaining. 12-zone irrigation. Oversized 3-car garage; driveway faces south. Access to 800+ acres of open space/trails, private horse boarding, tennis courts and access to âThe Caveâ for neighborhood gatherings or private parties.